This bag is simple and to the point. 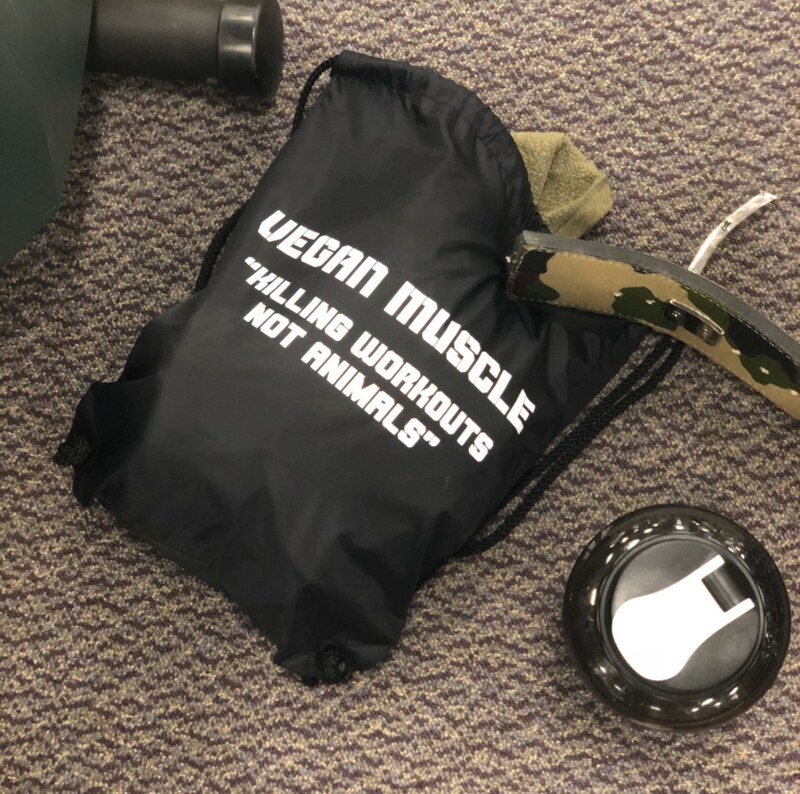 A black drawstring cinch bag with our Vegan Muscle message “Killing Workouts Not Animal’s” written boldly on front! The back is blank, the front gets the message across loud and clear. Because we kill workouts, not animals!